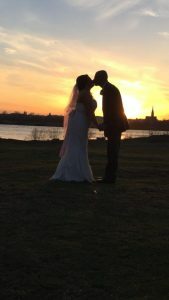 Planning made easy with New Jersey’s best event specialists as we help you create your Dream Wedding Day! 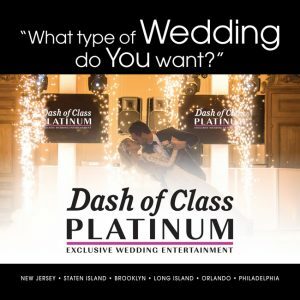 Bring your family and friends as you will experience Dash Of Class Platinum Entertainment LIVE April 28th at 2:30pm! 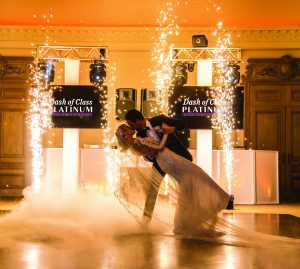 We showcase our various options to make your wedding dreams come true! Some of these options include DJ/MC combinations and a medley of various music styles. Lighting effects that will enhance your venue and atmosphere with both Intelligent and LED Uplighting. We will describe and show the difference between the two and how it is used. Picture Montage ideas and concepts, along with digital snapshots. We will display them on HD Plasma screens and you will be able to see the way it will be presented at your event. Photo booth description of sizes, whats included and how to customize them. Live musician accompaniment like percussionists and saxophone players. We will show you how we will work them into your music program seamlessly.